Since the companies inception in 1972, Roland has become a globally-leading manufacturer of ground-breaking industry leading musical instruments and music technologies. 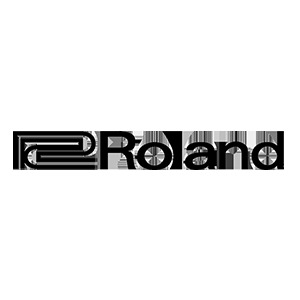 Roland makes some of the worlds very best instruments including keyboards, synthesizers, guitar products, electronic percussion kits, digital recording equipment, amplifiers and audio processing devices. Products from Roland include the new TR8S Rhythm Performer, highly popular SE-02 Analog Synthesizer, System 500 Modular equipment or Roland's range of compact Boutique instruments, we have it all. If you have any questions regarding Roland products then don't hesitate in contacting one of our Roland specialists by calling 01273 665 400. The Roland F-140R Digital Piano features a contemporary, compact design that is perfect for use in areas where space is tight. Perfect Digital Piano for those Looking for a Realistic Feel and Sound. The SPD-SX sampling pad from Roland brings﻿ sample creation and playback right into your grasp. Perfect go between a top of the range kit and stripping down to the bare essentials.